Mount Gassan is a well-known place for hiking located in Yamagata prefecture. You can enjoy alpine hiking relatively easily because it is possible to go up to the eighth station of the mountain by car. Many visitors go there simply to enjoy the scenery. Here are some recommendations to enjoy Gassan in any season. If you would like to see the numerous alpine plants, hiking is recommended from June to September. 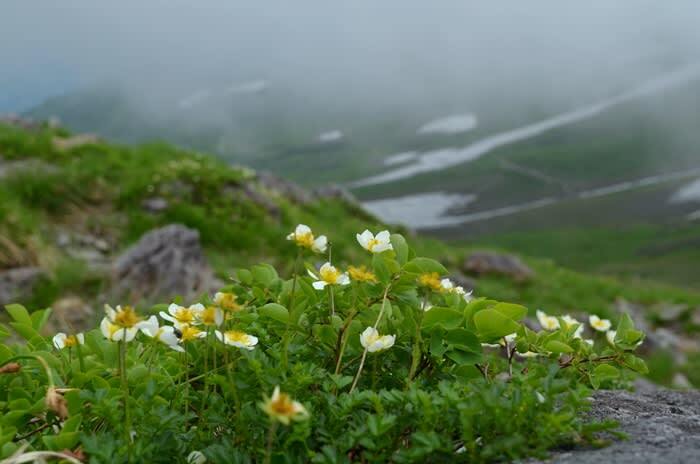 Over 350 kinds of alpine plants can be seen at this time of the year. The scenery in fall is spectacular. 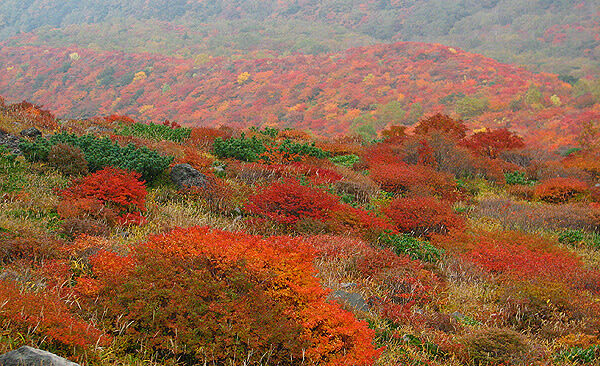 The entire mountain is covered with autumn leaves, looking just like a natural picture scroll. In winter, Gassan is covered with as much as 5 meters of snow. Hiking with snow shoes is the best way to enjoy the white landscape. Since the entire mountain becomes covered with snow, the winter season attracts a lot of skiers and snowboarders. There are even skiing schools, which makes Gassan a family oriented place where everyone can enjoy the alpine environment. 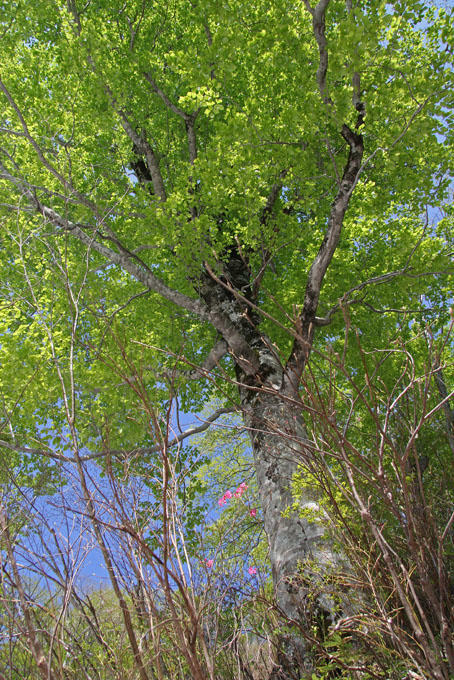 In spring, the fresh vegetation appearing amid the remaining snow offers a crisp contrast of white and green. This is a very unique, surreal scenery. If you visit the Yamagata prefecture, bring your hiking shoes and don’t miss Mount Gassan !